Winbubble is a system tweaking application for Windows Vista and Windows 7. Also, winbubble is a free application and it can be used for many customizations in Windows. 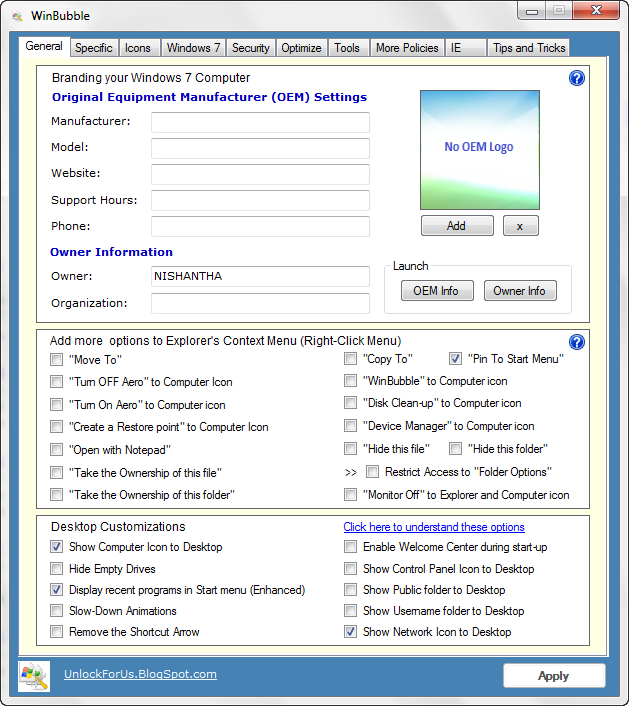 Run the Winbubble, then you will see 10 tabs, they are Genaral, Specific, Icons, Windows7, Security, Optimize, Tools, More policies, IE and Tip and Tricks.In the Genaral tab, you can change OEM setting and owner information. 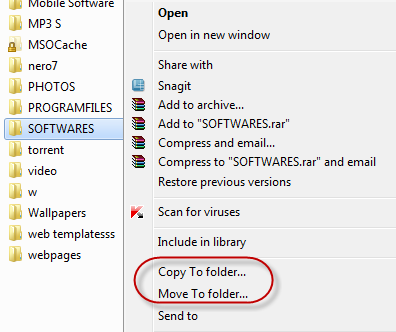 Althogh, you can add more options to explorer's context menu (Right-Click Menu), below that, 10 Desktop customizations are existed. Get winbubble from below links. Now, i will show you how to add "Move To" and "Copy To" to the Right-Click Menu. Just put a tick to "Move To" option and "Copy To" option and then press Apply button. 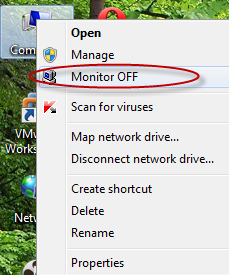 You can also add "Monitor off"option to the My Computer when Right click on it. Put a tick to "Monitor off" to Explorer and Computer icon and press Apply button. There are various type of tweaks available in the Tweaking Tool Box under the Specific tab. Windows System Ratings can be easily changed using the Specific tab, on the Specific tab Click on "Hacking WEI score" Then follow the below animation which will guide you. Check all the tabs for various types of cutomizations for your Winodws Laptop. Those are extremely important but i am not going to explain everything. You can do these cutomizations very easily even if you don't have good computer knowledge.